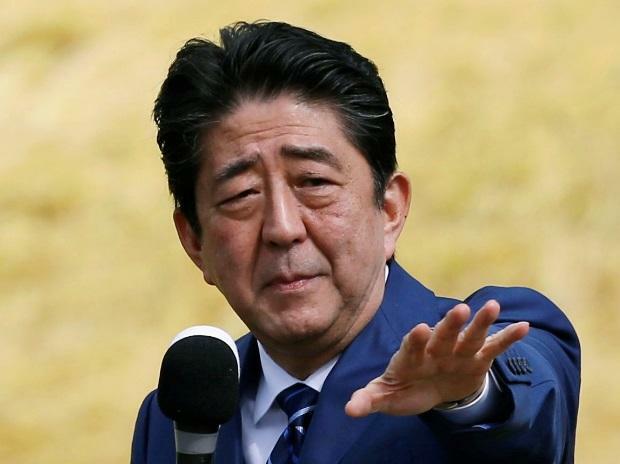 Prime Minister Shinzo Abe declined to say whether he nominated Donald Trump for a Nobel Peace Prize, after the US president credited the Japanese leader with doing so. Abe, who has worked hard to build a personal rapport with Trump, walked a fine line during a parliamentary committee meeting Monday while responding to Trump’s remark Friday. “I am not saying it’s not true,” he told an opposition lawmaker, adding that the Nobel committee doesn’t reveal nominations and he would refrain from commenting. Abe praised Trump for his diplomacy with North Korean and helping to protect Japan, which relies on the US military for defense. “President Trump has acted decisively toward resolving the issues of the North Korean nuclear and missile problems,” Abe said. Abe was one of the first world leaders to embrace Trump after the 2016 presidential election. Even though surveys in Japan show high public disapproval of Trump, there has been no major backlash to Trump potentially visiting Japan this year, while such visits have touched off protests in places such as the UK. Abe’s efforts to build one-on-one ties with Trump have shown their limits. Japan was forced to accept bilateral trade talks with the US after Trump threatened tariffs on its vital auto industry. The US Commerce Department was expected to deliver a report as early as this week on the security risk posed by auto imports. In a speech on border security in the White House’s Rose Garden on Friday, Trump said Abe had shown him a copy of a five-page letter he sent to “the people who give out a thing called the Nobel Prize.” The president was responding to a question on progress made since last year’s historic summit with North Korea. Trump is planning to have a second summit with North Korean leader Kim Jong Un in Hanoi Feb. 27-28 after an unprecedented summit last year. Their June meeting in Singapore led to a joint statement on North Korea’s denuclearization but the words were met by no concrete steps to roll back Pyongyang’s atomic ambitions. The Hanoi meeting brings both the promise of a less-dangerous North Korea and the potential peril of a weak deal that leaves Japan exposed to Kim’s weapons of mass destruction. Abe said Trump raised Japan’s concerns about it citizen’s abducted decades ago by North Korea when he met Kim. Abe told parliament he will do everything possible to work with Trump to resolve the North Korean nuclear and missile problems as well as the abduction issue.